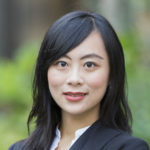 Peng joined the Beedie School of Business at Simon Fraser University in August 2018 as an Assistant Professor of Managerial Economics. She received a Ph.D. in Economics from the University of Cambridge in July 2018. Her research fields are Development Economics, Applied Microeconomics, and Labour Economics.